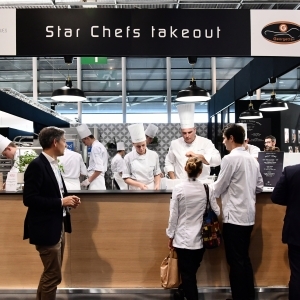 La Cuisine, in 2018, was be more than ever the place to find the great chefs: None other than Yannick ALLENO himself wass the patron of SIAL 2018, and many other great names of gastronomy tantalised your taste buds and offering their dishes to take away. 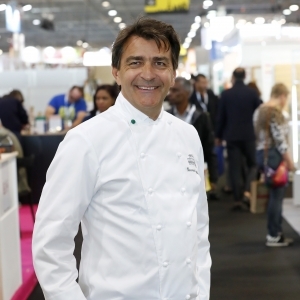 Yannick Alléno was the patron of SIAL Paris 2018! In 2018, "cuisine moderne" was on the menu at SIAL, as embodied by Yannick Alléno, this edition's sponsor. As sponsor, Yannick Alléno took part in the selection committee for the prizes awarded by SIAL Innovation. He defined a "foodservice" theme trail and select products presented by the exhibitors for inclusion in a basket bearing his name. Visitors were able to get a taste of starred chefs and one Best French Craftsman by Gault & Frémont. Ferrandi Paris supported the take-away service at La Cuisine, as the students share all their knowledge and expertise with the chefs throughout the duration of SIAL Paris 2018. Alongside their elders, they will have the opportunity to practise the high standards and excellence learned during their training. Born in Montmartre in Paris, he started his training at 16 in L'Ecurie, a posh restaurant in Seine-Saint-Denis where he was taught by Freddy Faverot. He continued working in Paris at Comme Chez Soi, then he quickly became the assistant chef for Jean-Paul Meunier. He then moved to the Les Halles neighbourhood working at Le Vaudeville, then at Le Pavillon Royal in Le Bois de Boulogne, with three toques. He then went to La Maison Blanche, Lucas Carton, Potel & Chabot, le Georges V and le Meurice. 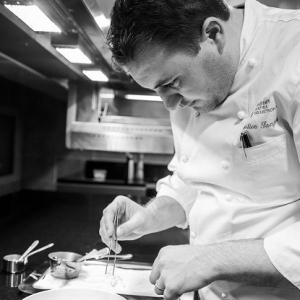 He took a big step forward as chef of the Hôtel du Castelet where he earned the first star of his career. In 2009, he went to Antibes, working at Les Pêcheurs where he earned another star. Two seasons later, at La Table du Kilimandjaro and Le K2 in Courchevel saw him earn two stars two times over. In 2016, he joined the Paris Ritz to write a new chapter in the gastronomic history of L'Espadon. Named 2017 Chef of the Year by Le Chef Magazine, he draws from French gastronomic tradition and gives it a decidedly contemporary interpretation. A son of restaurateurs in La Mongie, he was only 20 years old when he decided to open his own restaurant in 2002 in an old 16th century farmhouse in the Var region. In 2013 at the age of 31, he earned a Michelin star, and his restaurant became one of the Notable Tables in the 2005 Châteaux & Hotels Collection. 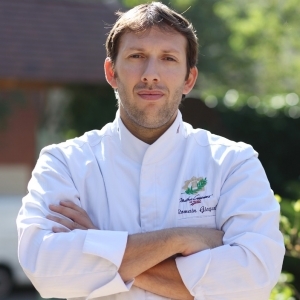 Then in March 2014 Sébastien Sanjou was named a Master Chef of France. 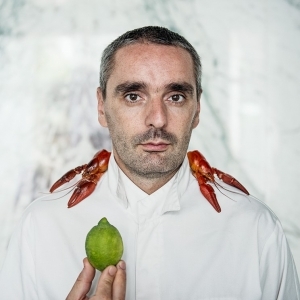 Having worked in the kitchens of Christian Willer (La Palme d’Or in Cannes) and Daniel Labarère (L’Ambroisie in Tarbes), this gifted young man cultivated a passion for vegetables and regional products, primarily those found in the south of France. Uncompromising, he chooses producers that respect quality and seasonal offerings as much as he does. Typically Philippe Auda for vegetables, Pierre Duplantier in the Landes region for poultry, and a Basque region cooperative for veal, beef and lamb. With a passion for cooking since an early age, Mickaël Pihours began his apprenticeship on the banks of the Loire. Aged only 18, the young man quickly got to grips with the business and was taken on by a luxury hotel, the Four Seasons in London. Yet 4 years later he had to return to France to do his military service. After a short stint as a chef in Paris, he returned to the Pays de la Loire region, where he was chef at the Abbaye de Fontevraud from 1996 to 1998. He then left to exercise his trade at Amboise, again in the Loire valley, in a 2-star restaurant, the Choiseul. He then went on to join the brigade of Laurent Saudeau at the Manoir de la Boulaie, the starred chef obtains another star just one year after his arrival! In 2006, Mickaël realised his dream of owning his own restaurant, Le Gambetta, which had been established in Saumur in 1945. Awarded a "Bib Gourmand" by the Michelin guide at the start of 2007, he continued to move onward and upward and obtained his first star in 2010. From La Rochelle, Johan Leclerre is the son and grandson of fishermen. His calling as a chef was born during family moments spent on fishing trips. He started his gastronomic career by working with Gérard Cagne, Pierre Gagnaire, Jean-Michel and Michel Lorain, Pierre and Michel Troigros, then at Alain Ducasse's Louis XII. 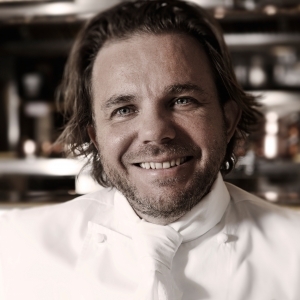 In 1998 he settled in Aytré Plage, where he founded a large establishment: La Maison des Mouettes, made up of a luxury hotel, a gastronomic restaurant, and the bistrot, Le Version Original. 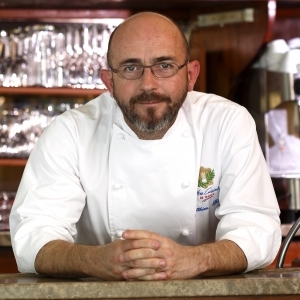 In 2007, he opened his second bistrot, Le Café du Parc. He was forced to leave La Maison des Mouettes in 2010 due to the destructive coastal storm Xynthia. After this loss, Stéphanie & Johan settled in the historic section of La Rochelle with the new restaurant La Suite. The concept is “Gastronomy accessible to all”. 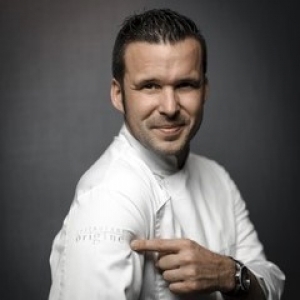 After cutting his teeth in famous establishments such as le Plaza Athénée, la Maison Blanche and Hyatt Vendôme, Benjamin Lechevallier opened his own restaurant, Origine, in 2010 and earned a star one year later. Having grown up between Paris and Franceville, he made a heartfelt choice and decide to settle in Rouen. He was immediately captivated by the thousand different sides to the city. Origine has a modern, sincere cuisine focused on our products. The team makes sure to revisit all these natural flavours to enhance them and make them stand out so that our time with them becomes precious and unique. Originally from Brittany, Matthieu decided to leave for England after receiving his diploma. There he worked for a three-star restaurant then for the first Relais & Châteaux hotel-restaurant in the country. After performing his military service as a cook on a French national navy boat, he returned to Brittany and worked in Plancoët. In 1994, he went to Paris and worked for Gérard Besson, then at Pote & Chabot before being named Chef at Yachts de Paris. In 2001, Matthieu wanted to expand his horizons and found le Bélisaire where he creates his own cuisine with particular attention paid to ingredients in order to offer greater enjoyment to his customers. He enjoys highlighting the products of Brittany, but only when these products are fresh, in season and can add something special to the dish. 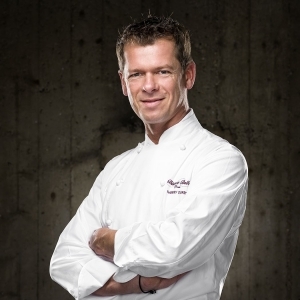 Thierry trained in the most influential restaurants aside Bernard Loiseau, Michel Rochedy, Michel Guérard, Alain Ducasse. He also worked at the Elysée Palace under F. Mitterand. Putting to use his Basque roots, he opened Belhara in 2013 where he combines modern and traditional cuisine. Thierry makes a point of seeking products from the best suppliers so he can offer a precise, generous and conscientious cuisine. Romain Gicquel has been in the kitchen since he was 15 years old, helping with family meals since his early childhood. His first apprenticeship led him to the market in Versailles where he was quickly entrusted with handling the purchasing of fresh products in the early morning. For Romain Gicquel, the quality and choice of products is an essential element for creating the very best French cuisine. As a young apprentice, he trained as a station cook at Club de Direction at Cartier for 4 years. The chef of Club de Direction at Cartier, Jérôme Gueguen, offered him a position working at LADUREE when it opened in Retiro. After that, Romain Gicquel decided to join a smaller establishment with a great gastronomic reputation, La Ferme de Voisins. He did not overlook the opportunity to work at the Domaine du Verbois. It's no surprise that his former boss, chef and owner of La Ferme de Voisins, contacted him to take over his establishment and become chef and owner at the age of 24. 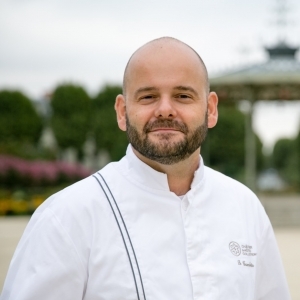 After receiving his hotel hospitality certificate, this chef at the age of 24 cut his teeth at Auberge du Père Bise at the Hôtel Royal in Evian, then in different Swiss palaces in Geneva, Montreux and Lausanne. He then decided to go to Paris and work at Alain Ducasse's restaurant, Le Jules Verne, before becoming assistant chef to Hervé Rodriguez at the Michelin-star MaSa restaurant. Later he chose to take over the family restaurant, Saint Lazare, in Ain. It was starred restaurant for 10 years, and it is his goal to earn back that lost star. Above all, he emphasises ingredients, aromatic herbs from their garden, and local producers. Focused on home-made items, Clément makes his own bread that he matches with the dishes and especially with the seasons. The menu changes every two months to offer products at the high point in their season. Born in Béziers, Thierry Vaissière was influenced in his childhood by the cheerful atmosphere of the dinners that his family put on. 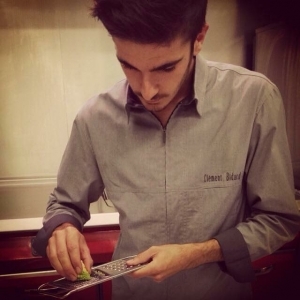 He discovered the world of gastronomy very early and earned his CAP, BEP, BAC Pro vocational qualifications in cooking through apprenticeships. 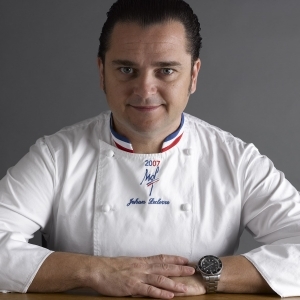 The young chef went to Paris to perfect his skills and join the kitchen team of Alain Senderens. Thierry Vaissière took from him a passion for quality seasonal products, careful plating and the very subtle blend of flavours. He then joined the kitchen in Drouant and the prestigious Tour d'Argent, two restaurants that have earned two Michelin stars. Later, he left for the opening of the Paris Las Vegas Resort Hotel. He then joined the three-star Pourcel brothers from Jardin des Sens in order to take over Maison Blanche In Paris. After working for 10 years there and being elected "Best Table in the World" by Forbes Magazine, he decided to take on another challenge and head the kitchen at Sofitel Paris le Faubourg. Well-known for its south of France inspired cooking, he is today managing the Maison de l’Amérique latine, located in the heart of the Saint Germain neighbourhood. Having been involved with the restaurant MB Fès in 2008, he is still the chef of this restaurant, which is one of the most modern in Morocco.